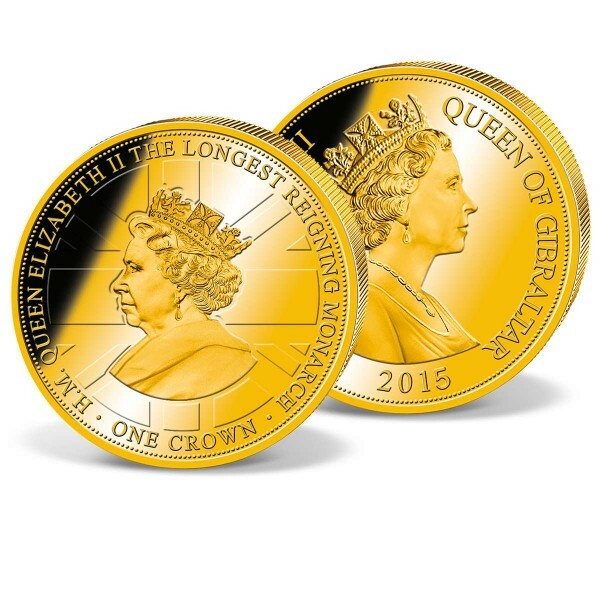 Only recently, Queen Elizabeth II became the longest reigning monarch ever in British history - an incredible achievement, that has been honoured by British Overseas Territory of Gibraltar with an official Crown coin. Coins like these are important documentations of our history and are therefore highly sought-after, but the mintage in best quality proof only allows for a limited number of coins to be issued. You can now be amongst the first British collectors to own this stunning coin.